In the royal family of Canadian classical dance, Alberta Ballet is a lady-in-waiting. The acknowledged kings and queens are National Ballet of Canada in Toronto, Les Grands Ballets Canadiens in Montreal, Ballet British Columbia in Vancouver, and Royal Winnipeg Ballet. More oftne than not, A.B., a company that began life as Edmonton Ballet in 1960–it became Alberta Ballet Company in 1966–is dismissed as a prairie also-ran. In the great independent spirit of the west, however, the feisty Calgary-based company under artistic director Ali Pourfarrokh is embarking on an aggressive campaign to take its rightful place among the crowned heads, and–more to the point–is succeeding. A.B. has languished in the shadows of her sister companies for several reasons. Founder Ruth Carse held it to a fairly restricted mandate; it mounted seasons in Edmonton and Calgary and toured extensively throughout its home province and neighboring Saskatchewan. Significantly, the first national tour did not take place until 1985 under Carse’s successor, Brydon Paige, who became artistic director in 1976. His choice of repertoire was also problematic; the sixteen-member company was defined by Paige’s restaging of full-length classics and classical snippets performed to taped music. While the company did produce a body of original work, such as ballets by resident choreographer Lambros Lambrou, the watered-down classical repertoire was clearly the cash cow. It was, however, a body of work that could not travel widely, particularly to sophisticated urban centers. This image of a regional company lingers today. While Ballet British Columbia, with fourteen dancers and a shorter history, receives a whopping $250,000 from the Canada Council for this fiscal year, Alberta Ballet gets a mere $70,000 grant–a fraction of the company’s $3.6-million budget. The company was also held back by Paige’s insistence upon showcasing its tiny, five-foot-tall prima ballerina, Mariane Beausejour. The shortest dancer in the present company would have been the tallest dancer under Paige. Pourfarrokh jokes that the wardrobe he inherited when he took over in 1988 is now used by students at the company school. Barbara Moore, the only A.B. dancer from pre-Pourfarrokh days, recalls, “Everything centered around Mariane. Talented dancers were stuck in the corps de ballet, and there was a big turnover. We also had the reputation of being a training ground for Les Grands [Ballets Canadiens], which is where Brydon had come from. Kids would get hired out of Les Grands’ school, get seasoned, then go back to Montreal.” Alberta-born Moore has flourished under the new regime. Pourfarrokh has utilized her brilliant dramatic flair in such roles as the sizzling temptress in Giuseppe Carbone’s Carmen and the haunted, tragic heroine in Birgit Cullberg’s Miss Julie. Pourfarrokh faced the challenge of a company bloodied by internecine struggles between Paige and Lambrou and unsettled by a soon-to-be-completed merger with the struggling Calgary City Ballet, which involved moving A.B.’s operations to that city. Lambrou and loyalists such as Beausejour decamped to Austin City Ballet, and Pourfarrokh’s first season was spent scrambling to find dancers and create choreography. In fact, in his first two years with A.B., Pourfarrokh contributed a staggering nine pieces to the repertoire. Only Paige’s Nutcracker, a perennial money-maker, was salvaged from the mess. A further unpleasantness was the bitter divorce between the company and the Alberta Ballet School, which has remained in Edmonton. The move to Calgary brought with it many advantages. A.B. exchanged the vacant school building that had been home in Edmonton for spacious headquarters at the Nat Christie Centre, a beautifully renovated former railway station inherited from Calgary City Ballet. The merger also raised the complement of dancers to eighteen; with two permanent apprentices, A.B. can field a company of twenty. Calgary, the corporate center of the oil and cattle industries, is considered a far more dynamic city than Edmonton, the bureaucrat-heavy provincial capital. Today’s A.B. is a radically different company. Pourfarrokh has mandated a no-star system; the company performs as an ensemble in pieces suited to its size. He introduced to Canada such choreographers as Dan Siretta (Indian Summer) and Domy Reiter-Soffer (Equus), as well as Carbone. He attracted cross-Canada media attention after the success of Peter Pucci’s Lifted by Love, set to the music of superstar singer and Alberta native k. d. lang. The encouragement of Canadian choreographers is also important. Talented Crystal Pite, a Ballet British Columbia dancer and one of the few women ballet choreographers in the country, produced In a Time of Darkness, a stunning antiwar ballet, while rising star Mark Godden, formerly of Royal Winnipeg Ballet and now of Les Grands, will be mounting a new work this season. Calgary performance artist Denise Clarke created the delightfully quirky Feed Me. looking at dance from a dancer’s point of view. Pourfarrokh has also remounted classic works by the deans of Canadian choreographers, Brian Macdonald (Time Out of Mind) and Fernand Nault (Liberte Temperee). 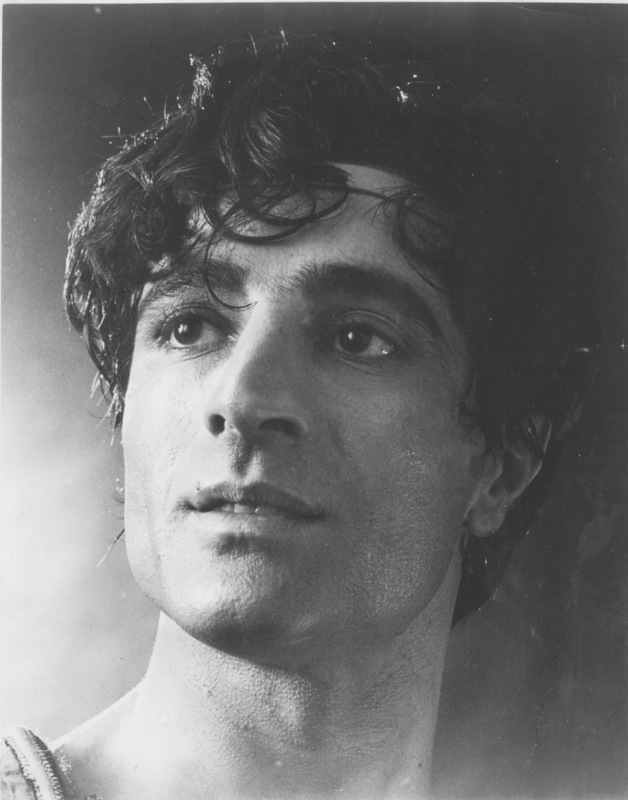 “We may have lost the tutu crowd,” says Pourfarrokh, “but by doing works more of our time, both our subscription lists in Edmonton and Calgary have grown and single ticket sales are up.” As proof, the subscription renewal rate for the 1995–96 season is the highest ever in the company’s operating history. Pourfarrokh’s own growing craft as a choreographer has also added to the company’s luster. An admitted devotee of abstract themes and mood creation, his Journey (1993) and Butterfly Dream (1994) earned him rave reviews. To encourage choreography within the company, Pourfarrokh last season instituted the first annual choreographic workshop.